If you are having discomfort in your forearms, these tips may help reduce your pain and prevent further injury. Try them out, then choose one or two to focus on for several weeks before adding more. 1. Support your forearms when you can, but do not rest them or your wrists on anything while typing. 2. Don’t pound on the keys; use a light touch. 3. Hold the mouse lightly as if you were cradling a small bird; don’t grip it hard. 4. 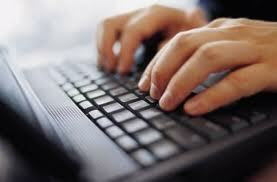 When typing, keep all your fingers and your thumb softly curved. If you tend to keep your pinkie finger raised or stiff, begin trying to relax it to avoid injury. 5. Take mini-breaks every few minutes. Stop, let your arms hang to your side, shake them out, and take several full breaths. 6. Stretch frequently. Hold your arms out in front of you, and bend your wrists one way and then another. Ask your massage therapist for specific stretches and self-massage techniques for the forearms and wrists.